There is so much nutrition information hitting athletes from all ends – social media, doctors, chiropractors, dietitians, coaches, bloggers, other athletes, and the list goes on. Who is right? What should athletes believe? As a registered dietitian and ultra-runner, I will tell you to stop reading and listening to everyone, but rather go back to the basics. Nutrition basics that you need for life and to perform, especially during multiday events. 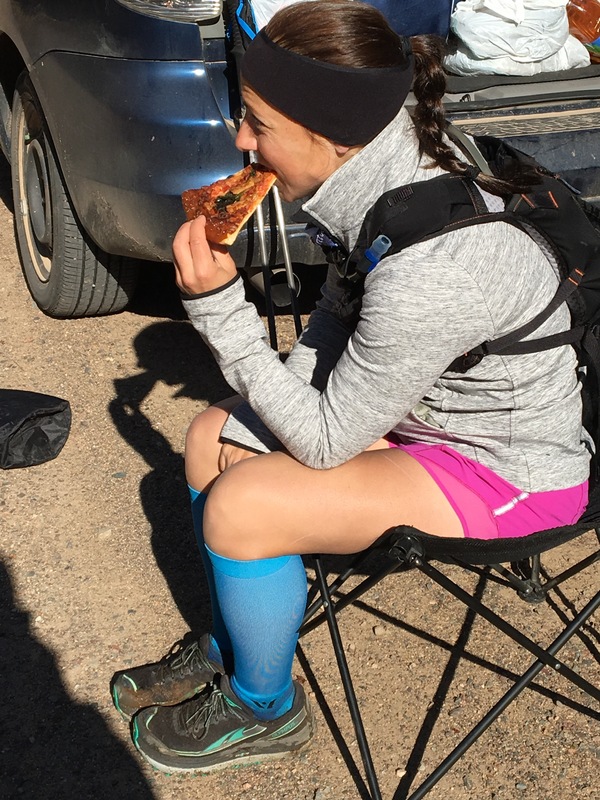 After completing the fastest known time on the National Scenic Ice Age Trail spanning 1200miles, the interest in what I was eating was unbelievable. More so, people were stupefied by my intake as a 5’1” 120lbs female athlete. Daily intake was typically cereal and milk, pizza, tart cherry juice, short rib sandwiches, avocado, McDonalds, bakery, more pizza, meatballs, rice krispies, beer, soda, and a variety of other “unhealthy” foods. People don’t want to believe there is a place for these foods in the world, but sadly that’s not realistic – they are phenomenal for athletes…assuming it’s at the right time. And, quite okay for the non-athlete as well. Focus on liquids…a lot of liquids. Whether you are moving or not, plan on an average of 20oz per hour. And it’s okay if it has calories too! During your sport, eat some foods that are processed…the body doesn’t have to use energy to process already processed foods – it’s a win! They are consumed and used immediately. The simpler it is, the better during sport. Similar to gels, candy, pastries, white breads, etc. When you eat foods that are not processed, it takes the body a long time to digest, which means it’s not helping you perform. When you are not performing your sport, eat complete, complex foods being mindful of fiber intake. It’s good to have some fiber, but loading up on raw greens right before an event…that is not fun for anyone! Foods between events that work perfectly: lentils, sweet potatoes, rice, pasta (and white is okay! ), fruit, avocado, lean meats or tofu, eggs, and sprouted breads. Don’t hesitate to butter your bread either! Calories are important. Eat them all. You probably eat regular meals and snacks sitting at work all day doing nothing…why do we neglect this when we are doing sports? On multi-sport event days, you need to eat even more than those days sitting at work. During my 1200mi endeavor on the Ice Age Trail lasting 21 days, I ate nearly 4500 calories per day and it probably still wasn’t enough. And finally, RECOVER. Recovery dictates your success with performance later on in the day, or during the next couple of days. It’s key to recover with a 4:1 ratio of carbohydrate to protein after each move you complete. Sure, bars and shakes can do the trick, but I highly recommend real food. Something like a full bagel sandwich with turkey, side of fruit, and a hard-boiled egg can give you exactly what you need. Might as well throw in some tart cherry juice too! Remember, fat inhibits recovery; so ensuring your intake is high in carbohydrate and protein is what makes the next event that much better. There is a place for fat foods for sure – don’t neglect them – it’s all about timing. See how you match up! 7:30am (Simple sugars): if you want to have gels, fine, but trust me, by hour 3 you will be fed up! Use REAL food…bakery item OR full banana OR sandwich (PBJ, cheese, or bean). During the event: eat 400-500 calories every hour (and this is on the moderate side!) AND consume no less than 24oz of water per hour. 2 ½ cups pasta, sauce if preferred, 4-6oz chicken breast, sprinkling of cheese, Gatorade or electrolytes…and then continue the 4:1 ratio over the next 2-3 hours! Adjust chicken to tofu; ideally a half block tofu; if you don’t like tofu, that’s ok. Lentils over pasta is amazing and gives you a good amount of protein combined! Post long run, I love to whip up a scramble: eggs, tofu, veggies, some cheese and then have 2-3 slices of toast with jam on the side. REMEMBER: The only way protein can help recovery, is if you have it with carbohydrate. My saying goes: Carbohydrate is the key that unlocks the muscles to let protein in! Again, take a step back from all the nutrition info that is out there and return to the basics. Athletes need carbohydrates first and foremost, then protein, then fat…all are essential to our sedentary bodies as well as our performing bodies. With multiday events, eat real food and never hesitate to eat just a little more than your mind might tell you to do. It can make all the difference as you attempt to push your limits as an athlete. Annie Weiss, MS RD; ultra-endurance athlete and registered dietitian training in Milwaukee, WI. She is a sponsored athlete/ambassador for lululemon, Swiftwick Socks, Altra Running Red Team, Fluid Nutrition, SPOT, Bigger Than The Trail, and First Endurance. Since I started running about ten years ago, I always wanted to run the Boston Marathon. After only one year, I qualified and ran my first ever Boston Marathon finishing in 3:05. I was stupefied – what just happened?! Could it be I’m actually talented in something like running?! What would it take to be better? Naturally, I took it into my own hands and attempted to run faster, and faster. Little did I know, running faster (and more) doesn’t actually make you a better runner. Not only did I run myself into the ground, but I also developed a hatred for running. In those few years of self destruction, I had three stress fractures, all at the same time, torn muscles, suffered IT band and Achilles issues, and more importantly… got slower and slower. Until I stopped. I simply stopped – because finally, something got through to me. And sadly, it wasn’t until 2015. 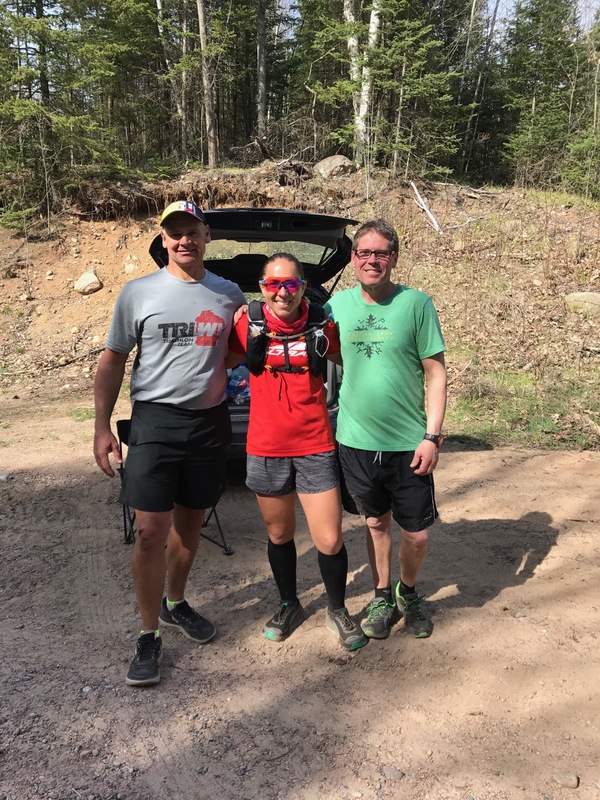 Fast forwarding, I had left the road running community and started to trail run with the hopes of eventually road running again… once I start to “love” running again. I would keep doing one marathon a year amongst ultra racing in order to qualify for Boston each year – because maybe that spark would ignite once again. It didn’t until I met my husband and I was able to witness his BQ journey. I loved it. Of course though, my ultra goals remained the same, but the spark to road race started to build. I started to want to race. Inserting Boston into my ultra schedule really only left about 5 weeks of road training. I was shocked, but was able to slowly build back some speed – not quite what it was about 6 years ago, but close enough to attempt a solid time at Boston 2018. My training runs were high quality and short – something new for me. I actually loved it and it gave me a little more confidence each day leading up to April 16. The week before the race, my husband showed me the extended weather forecast…rain. I didn’t think much of it because so much can happen in a week. Except this one time… Nothing changed, it actually got worse. Race day forecast…34-38 degrees with a head wind and pouring rain, possibly a mix. Really? Having ran Boston a few times, I knew the course and honestly, I love it. I find it manageable yet challenging, but with crowd support, you just don’t care. And with the experience of marathoning, I knew I couldn’t go into this thinking something great would happen – I needed to set all race goals aside and just run. What does that even mean? So many people struggle with that “just run” concept – I know I did for years, but eventually as you sink into holes more than being able to climb out, you learn. So that’s what I did for 26.2 miles – I just ran. With raining drops shooting into my eyes, winds making it hard to do anything, I just ran the race my legs were willing to run. Could I have run faster? Yes. Could I have demanded more from my body? Yes. Could a little bit more grit been used? Absolutely. But here’s the deal – what’s the point on a day like that? Just soak it in and run. It felt incredible to smile, run freely, and cheer with the crowds. A completely different experience than any of the other 15+ marathons I’ve completed. This was so weird feeling. What is this gushy feeling I feel? I finished with no intentions and forgot about that feeling by the next day. It was only two weeks later when we headed to Kenya to stay in Iten, the home of champions, at the High Altitude Training Center. This experience was mostly to see Kenya but also run. We love to travel and explore on our feet countries we have never been….where better than Kenya to get that experience?! I have so many stories of Kenya – too many for right now – but one in particular stands out… the Kenyans do not care about being judged, they do not care about pace, they don’t have devices and bottles and gear, and they certainly do not think it’s easy. Kenyan runners, as I learned very quickly, do one thing only…they just run. There is no hidden meaning or anything behind it – they just run. I realized that these runners who we assume are just naturally gifted runners and make it look so easy, are training each day harder than any one of us…because they have to. It’s their livelihood. If your job was to be the best runner in the world so your family could eat, then you would be, just so much as you’ve become the best spreadsheet maker or proposal writer ever just to provide for your family. All they can do is just simply run their best because if they get caught up in paces and watches and body image crap, they know they will fail. They train, they eat, and they rest really well. Listening to runners from all around the world at Boston speak so highly of themselves, and then listening to Kenyan runners ask about my running, never once talking of their own, was incredible. It was the true picture of a someone that humbly does their job day to day; of someone that cares more about others than themselves; and of someone that just simply runs. And does it so well. As a seasoned runner, I thought I had “seen it all” but really, I didn’t see anything until I made the journey to Kenya and learned what it meant to run, and love to run. It’s all about perspective I suppose, and moving forward, there won’t be a day that passes that I don’t think about what it felt like to run with Kenyans. And when it hurts or rain pours in my face at Boston, I want to remember that each Kenyan runner is just simply running for their survival, which means so much more than times, paces, weather, or all the gear in the world. Get out of your heads and into your heart – and just simply run. Cheers. It’s about this time of year that dieting ads take over our TVs, gym memberships have no sign on costs, and people spend more money than you can even imagine. We do all these things around the New Year in preparation for resolutions that must start January 1st… “oh wait, better make it January 2nd because I’ll be hung-over…oh but don’t forget that belated Xmas party on the 5th…can’t start now until February…” and so on it goes. Has anyone ever asked themselves why we even bother with resolutions? Probably, but we continue to do the same thing over and over (aka insanity!). Resolutions, or goals we can call them, are rooted in what we don’t like about ourselves, right? The classic lose weight resolution coupled with the get leaner, exercise daily, run more, or anything that will morph me into someone else consumes us. We continue to entertain what the media tells us we must look like and be like. What about just being who we are…doing what we love…taking risks…smiling more…enjoying nature and the company of others…what if we rid ourselves of all that worry and hatred from within? Yes, this is another blog on not making resolutions for the next year that are surrounded around your body or changing your image when your image is totally okay! Exciting! Love your body – all it’s shapes & wiggles!It’s the best feeling ever! Wouldn’t the best resolution be to love yourself more? And all your parts?! Embrace your hips! Love your thighs! So your stomach isn’t like the girl’s on the magazine…guess what?…it never will be because she’s made by computer! Don’t bother with these types of resolutions…instead bother with the ones that create happiness from within. It’s definitely awesome to want self-improvement, but improving yourself or your life does not need to start on January 1st…it can start right now and you can slip up and continue on any day of the year. There is no start and finish line like in a race, but sadly we view life as such. Each moment is a time for positive change and an opportunity for growth. Making real change in your life requires a different type of commitment. It doesn’t involved resolutions…it involves actions and love. For example, last year Brian wrote down his goals for 2018 on paper and they were posted on our bathroom mirror all year long (by the way, having your goals in your face every day helps accomplish them!). And in 2017, he reached massive goals. Yes, they were obtainable, but more importantly, they were about what he loves. To name a couple, he got his BQ, and getting a BQ is no joke for the 30-something males. We traveled to multiple countries and new states…CHECK, CHECK. He got published in a magazine…no problem, goal met. And which goals were left in the dust?…work goals and home improvement jobs. Those are low on my goals list too because they aren’t what we love to do, they don’t excel us in life, and most importantly they don’t make us feel good. To circle all the way back… manipulating your body doesn’t make us feel good; shaming yourself doesn’t set us apart; and ultimately failing over and over again with dieting isn’t worth it. Certainly do not limit yourself this New Year’s Eve. DO set goals, but first understand that any goal can start at any time, and second, life is about what you love. It’s way more fun to have goals that involve experiences, happiness, and opportunity. For me, I love setting ridiculous goals just to see just how close I can get to reaching them! And some I really do reach, which feels amazing! But most important, they are about improving me as a person and athlete, not about my body or what is “wrong” with me. This all reminds me of a quote by Kyle Cease that I try to live by each day…. “you are what you love, not what loves you.” Something to think about for 2018! 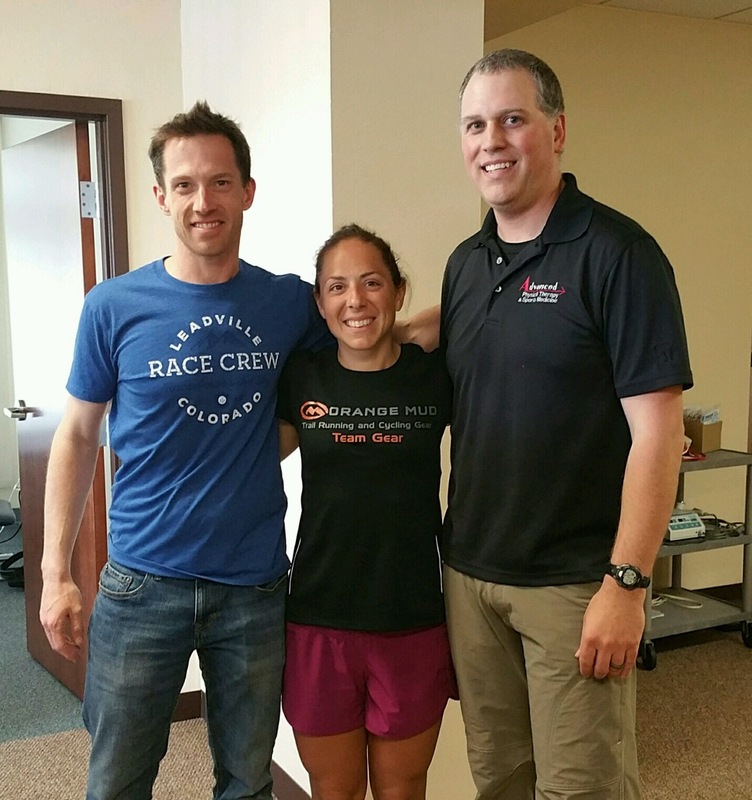 Blog author: Annie Weiss, MS RD; ultra-endurance athlete and dietitian living and training in Milwaukee, WI. She is a sponsored athlete/ambassador for Pjur Active, lululemon, Swiftwick Socks, Altra Running, OrangeMud, Fluid Nutrition, and First Endurance. Follow her training/racing on Twitter & Instagram: ani_weiss and Facebook: Ani Weiss. My 2017 Leadville 100 journey started in December 2015 when I entered the lottery for the 2016 race and got in. Hmmm, well, I guess I’m running Leadville! So I decided to sign up for a few CO races, one of which was the Silver Rush 50 in Leadville. Long story short, I ended up placing well enough that I received the bronze token – I could either have entry into the 2016 or 2017 Leadville 100. Given I was already running 2016, and was so elated, I decided to accept entry into 2017. And so my journey to a second Leadville finish began. Brian and Rivers walked down to the start area with me at 3:30am for a 4am start. It was about 42 degrees – this is perfect race weather for me. Everything was lining up perfect, but yet still no drive to be toeing the line. The gun went off. I had a decision to make – go out with the best females or run my race…or anything in between or worse – fail right off the bat. I decided to go out with Devon Yanko – an elite runner with HOKA (who took first that day). Given my mental state, I decided to slow my pace down around the first aid station, just over 13.5mi into the race; I was 2 minutes behind. I changed my mind. Now I’m going to run my race. The next section was a bit of climbing, but nothing too intense given I was able to bomb down powerline to the Outward Bound aide station. I didn’t know my place and I didn’t want to. Brian was there to provide aide and I guess I didn’t look great after the first 24 miles – Brian could tell it was not going well even at that point. Over the next 3 miles, I decided to have a pity party for myself. I complained in my head about everything – mainly about how much it hurts already and I’m not even to 50! I continued to repeat in my head how stupid I was for signing up and committing to something because of pressure; maybe a DNS would have been better. I got to mile 28 where Brian was again to and he ended up walking with me through treeline as I was in tears complaining now out loud about my feelings about this race. I hated the miles that were coming up – the immense climbs…the water crossings…the heat…all of it. I told Brian my hamstring and hip were in so much pain – he needed to get Rivers to make a decision for me. That makes quitting easier. Or does it? Somehow, I was able to grab onto some motivation in the next 13 miles. I was able to let out a good cry and turn my legs on. I had to get to mile 40 and then I could reassess. I ignored the radiating pain in my right hamstring and hip…I pushed through this low point and it was worth it. I made it to Twin Lakes. Brian told me I had to keep going and that Rivers response to my hamstring/hip issue was to “f*ing relax” … he was right. He also said that he did not build me to be a first in at 50 mile runner…or even 1st in at the 100k…my race is the final 1/3 and better yet, another 100 miles after the 100 miles already ran. He’s right – always right. I kept those words in my head for the next 60 miles. It was time to climb…summiting Hope Pass would be nothing easy. I grabbed my poles and kept moving. I made my way through the river crossings – they felt amazing! I wanted to take a swim but figured I didn’t have time. Along the prairie I went and could feel the trail start to elevate…I was starting the long climb up the mountain. I wanted so desperately to get to the llamas and donkeys – that meant there was only 1.5 miles to go before descending. I hiked better than I have ever before. Last year I had to take breaks to catch my breath and this time I just kept going. The climbing actually felt good and I believed I was making really good time. When I made it to the top, I was so excited. I only had to go down the mountain 4 miles or so right into Winfield at mile 52 before summiting again. Those 2 extra miles added to the course though really could’ve been left out! Running into Winfield felt great. Really because I had no time to throw myself another pity party. I was 52 miles in with my first pacer already starting to help me fuel and not giving me any time to complain. Brian was setting up my gear to return over Hope Pass and my friends Shelley and Alec were volunteering – they are so wonderful to me and just made me smile. I was so distracted I forgot how much I didn’t want to be running in that moment. Siobhan Pritchard, an incredible runner in CO that took 7th last year, paced me back to Twin Lakes. Her serious yet kind words kept me motivated – I didn’t want to disappoint her. My stomach started to turn at some point during the day. I’m not exactly sure when but I needed a moment to sit and drink a lot of fluids by the time I returned to Twin Lakes or the 100k mark. Keith was waiting patiently to start his leg of Leadville. I was back to just wanting to sit all day and not starting up again. My crew got me going again – they didn’t leave any other option. I had to let my stomach adjust as I continued on this long journey. Keith and I started our climb out of Twin Lakes onto the Colorado Trail heading toward Outward Bound. It was a stretch of climbing followed by rolling hills – a quite runnable section! My stomach was not doing well and honestly at this point I was taking in anything that didn’t come out of one end or the other. I was able to get down ramen, mashed potatoes, fluids, and Halloween candy pumpkins. I would gag my way through eating but I got the calories down – that was the important part. My body didn’t want anything but it didn’t matter, I had to get in nutrition. I needed to get through this race today no matter what. The motivation within started to rally. I’m not sure why or how but I started to think to myself how much I didn’t want to miss the awards. Or how much I didn’t want to repeat this again in 2018 because of a failure. Or how my crew is giving me their whole weekend to see my through. I didn’t want to quit. I wanted to finish and finish well. I knew I would regret anything but a successful day. I had to keep digging for that internal drive from mile 60 to the finish, reminding myself constantly of why I was here, what I want to accomplish, and the amount of belief others have in me. I wanted Leadville to be my breakout race and here I was having mini pity parties at moments when I didn’t need to. I needed to forget the lows and focus on the highs. I have an opportunity now to take over something I don’t want to take over. The fire was ignited even though I had to keep lighting it mile after mile. Coming through Outward Bound again, I was freezing cold. Kind of a repeat of last year! I didn’t want to stay there long so I stayed by the fire for just a moment before Siobhan said I had to keep going to stay on track. It was her leg again – the second hardest section – powerline. I killed powerline last year and planned to do it again. I finally started to pee more and get in more sugar – my legs were cashed, but there were only 24 miles left. That’s nothing. I can do 24 miles. I was able to pass 2 females in this section. To me that felt great and Siobhan reminded me to not worry about that and just keep moving. She was right. I needed to focus on reaching my goal of sub 25. But I couldn’t help but think I was already reaching my top ten goal – would that be good enough? We rolled into May Queen with 13.5 miles left. Brian took over giving Siobhan a nap break. Keith had already started his trip back to Boulder where he was volunteering for the Run Mindful camp where we met back in 2015. I ran from May Queen to the finish with some hiking breaks but I was alive this time. Last year I was tearful and falling asleep as I moved. This year I pushed hard and knew that the end was so close. I passed 2 more females locking in 8th place. I didn’t know that until the end, but what I did know was that my race will forever be the final 1/3 of any event. Why bother thinking about anything else? I guess in the end that’s really hard to do and something I’m going to focus on moving forward. With a total time of 25:39:16 I finished the 2017 Leadville 100 – one of the most prestigious and toughest 100 milers. Of the 604 starters, 287 finished. That’s a 47% finisher rate. Wow. It was my second Leadville 100 finish and I was asked if I would go back….I didn’t think so until I found out Wardian did the Leadville/Pike’s Peak combo record – now THAT sounds right up my alley! It may be something to consider once my recovery period is over and my mind is ready to wrap my brain around something so challenging. I may not have had my breakout race…I may not even have had a great time…but in the end, I really felt good about this finish. I reached one of my goals…I finished something that from the start I didn’t want to do, and realized that my 2017 season has really been overall incredible. My standings look good, but even more, I’ve become a better athlete and women because of the determination, drive, and grit that went into everything from this year. Of course, the year isn’t over, and I may have goals under my sleeve before 2018 hits, but for now, I can’t be happier. That’s what makes it worthwhile…being at your lowest and rising above everything to get to the top. It doesn’t happen all the time, but gosh when it does, it’s really awesome to make things happen when you’re at your lowest point. I suppose that is what Leadville is all about! Blog author: Annie Weiss, MS RD; ultra-endurance athlete and dietitian living and training in Milwaukee, WI. She is a sponsored athlete/ambassador for Pjur Active, lululemon, Swiftwick Socks, AltraRunning, The OrangeMud, and Fluid Nutrition. Follow her training/racing on Twitter & Instagram: ani_weiss and Facebook: Ani Weiss. We were still in Antigo. I was really hoping to make the leap to the next town given we had started to head south on the trail. Just one more night in Antigo is what I kept reminding myself. We got to the trail early AM – Kettlebowl…a ski area with wide trail and easy terrain. It was time to make magic happen. I started on my day 10 journey south. I stood at the trailhead watching Brian drive away on the highway heading towards the next segment 10 miles away. I didn’t want to be alone for 10 miles. By this point, I didn’t know what to think about anymore. It was time to start. I took a deep breath, reminded myself not to start crying at any point in the early AM (it was too soon), and ran. I made it 10 feet before stopping. I was dead in my tracks as I looked down at my feet. I knew it was nearly impossible to get my shoes on that morning, but Brian helped and they were mostly laced all the way. I didn’t know what was happening. 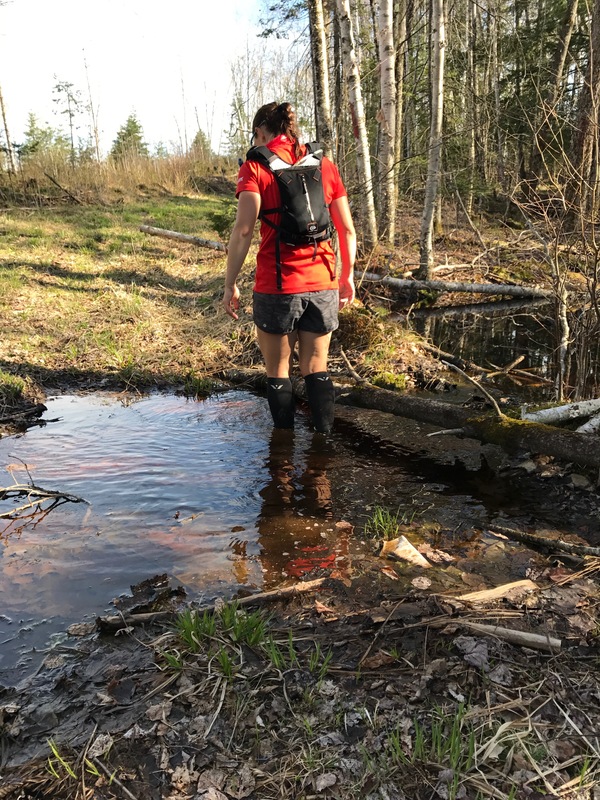 It felt like draggers in my lower legs; the pain and swelling in my feet and ankles was moving more and more into my lower legs. Sometimes one side was more painful than the other, just depended on the day I suppose. I tried to run again. I didn’t get far. I texted Brian to come back – I knew in my core something more than aches and pains was wrong. It was time to go to the doctor. I nearly fell to the trail in tears. I had given in to going to the doctor. I kept playing on repeat each day of this journey trying to recall the moment when I may have fractured my bones? Or did I roll my ankle and didn’t realize it? What was this pain I was experiencing? Why are there bruises all over my ankles? I walked, barely, back to the trailhead and Brian was there. I explained what was going on and honestly, he seemed quite upset. At the time, I felt he was upset and frustrated with me for stopping, but I think it was more concern than anything. He knows if on day 10 I asked to see the doctor, it was likely day 5 I really probably did need to see a doctor. He, for better and worse, knows me too well. 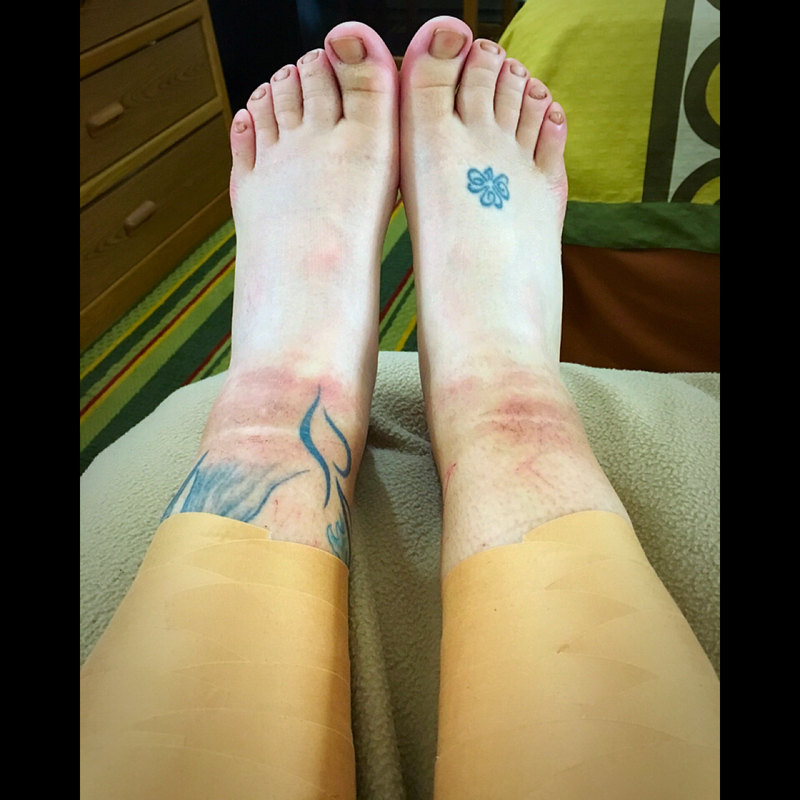 Brian had already put out feelers for a PT, chiropractor, doctor…anyone in the area to come check out the swelling in my legs at the hotel. Given it was early AM when I stopped, we first went to the emergency room. X-rays didn’t show any problems with my bones, but the doctor just kept telling me I sprained both ankles and to stop running. I know what that feels like and my ankles were not sprained! I knew that 100%. I just nodded and after getting his write up about sprained ankles we left. We headed back to the hotel to ice and heat. After, I laid my upper body on the bed, legs dangling off, and was out cold. Brian was on the phone with Rivs who apparently said to let me sleep as long as possible. He woke me with enough time to put on a pair of sandals and head to Swauno where a local PT would be taking a look at my legs. It would be about an hour drive. I was nervous I wouldn’t be back in time. For what? I’m not sure. It was a great experience and the massage felt so great on my legs. He thought the problem was stress reactions – the stage before a fracture. The swelling didn’t reduce at all, but he put some tape on my lower legs to reduce blood flow to the area to try to prolong more swelling. It would be nearly 4pm before getting back to Kettlebowl…this is what I was nervous about…getting back to. Would I be able to carry on this journey? After telling Rivs about my day at the doctor and PT, he still was convinced there was nothing structurally wrong. My body was simply still adapting. I agree – I was rooting for that answer. But, I couldn’t ignore the weird pain below my knee. It just simply was unavoidable. I took my trekking poles with me this time as I started back out on Kettlebowl 10 hours after starting earlier that morning. Nothing. I simply couldn’t even trot. I hiked 2 miles before Brian met me on a dirt road. That was the plan so we could assess what was going on and if I would continue for the evening. It was during that 2 mile hike that I made the decision to stop. My journey ended. But I continued to go back and forth between continuing and ending. I was able to convince my mind of both options and yet continued to fight for the opposite answer and so forth. It was numbing. When I start to feel this way and can’t make decisions for myself, I generally turn to Brian. I knew that wouldn’t work this time. This wasn’t deciding what would be for dinner. I typically then turn to Rivs. That wasn’t going to work either. He’s my coach and although like my brother, I can tell him anything, I knew I couldn’t ask him to make this decision for me. I called my sister. If there is anyone in the world that can look at a situation with zero emotion and really figure out what is best for me, it would be my sister. And that’s exactly what she did. I spoke with her as I hiked on the trail describing all the thoughts in my head, both positive and negative, trying to decipher if any of my thoughts to end this journey were simply out of exhaustion. She broke it down for me and said this: “Annie, your whole mission was one of respect towards your body. Your body can do anything, but not without respect.” At this point, to continue meant not listening to some foreign message coming from my body. She was right. It would be sheer disrespect of my vessel. I was, in that moment, able to argue with her on that. She (and Brian too) continued to remind me that this isn’t my lifetime running goal. This is just my goal for 2017. Brian had asked if I was willing to lose my long-term goals in order to do this. No. My sister asked if I was ready to hike for a long time, but that’s the thing…my goal simply was not a hike through. It was at that moment, after hearing my sister’s and Brian’s words, I realized I needed to stop. Yes, something was not right in my lower legs, but even more, my goal was not to hike the IAT. My goal was bring the women’s record close, or even better, than the men’s record. If I were to hike this that would not even be in the sights. I made the decision to end my journey. I cried. A lot. Brian and I drove back to the hotel. I was in some serious denial to be honest. I really thought we would just pick up again tomorrow. Wake up early, get back to the trail, spend all day running, and do it again the next day. I continued to think about how I really could keep going, that I didn’t need to stop. My legs would be better in a day. I tried everything to convince myself of anything but the idea of stopping. There were local people coming up to us at restaurants wondering if we were the ones on TV and wishing us good luck. There were articles in local papers and on the news. I was heart-broken. I felt like I was letting the world down and in my eyes it was due to something I did. The ER doctor really had me convinced I screwed up. We were all packed up and ready to head home around noon the next day. Carrie and Tim came back for more video footage at Kettlebowl and the hotel first. I have to admit now, I think she’s pleased there will be a second attempt and more awesome footage for her documentary. Definitely loads of drama, that’s for sure! The car ride home was tough for me. At some point, Brian just had to start saying ‘get over it.’ He still does even today and it’s June. I decided not too long after finishing to attempt again in October. And what really sealed the deal for me to try again was going to the doctor on Friday morning (the day after we left Antigo for home) and hearing what he had to say…”no, it’s not cellulitis and you don’t have any bone issues; you have an infection.” I was put on a steroid for a week and it was gone. So much disappointment, but on the flip side it wasn’t an injury. To hear there really was ‘nothing’ wrong, I’m thinking “OMG why did you stop? !” But I know what bacterial/parasite/etc. infections can look like and turn into. No thanks. Not worth it. 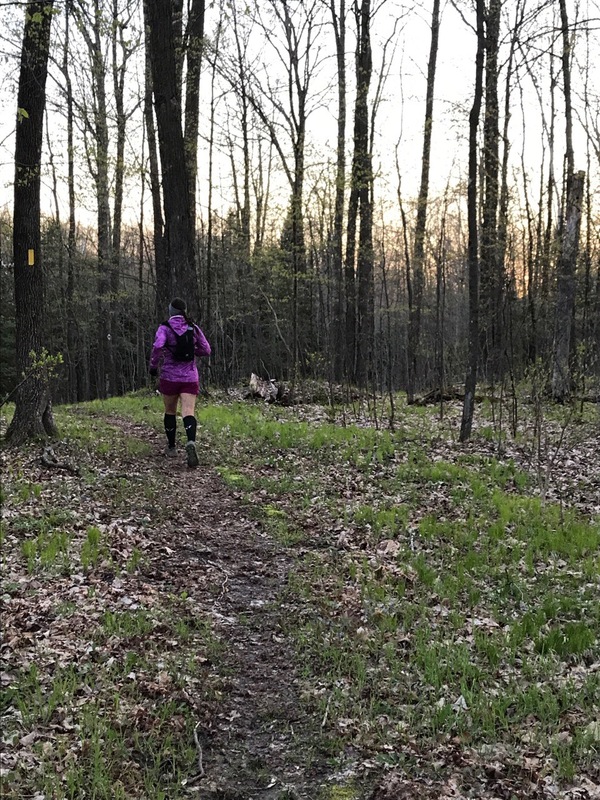 Blog author: Annie Weiss, MS RD; ultra-endurance athlete and dietitian living and training in Milwaukee, WI. She is a sponsored athlete/ambassador for lululemon, Swiftwick Socks, AltraRunning, The OrangeMud, and Fluid Nutrition. Follow her training/racing on Twitter & Instagram: ani_weiss and Facebook: Ani Weiss. It was the start of day 7. The first full week was almost compete. Wow. Keith hung with Brian and Casey for my first stretch of trails before saying goodbye. I didn’t want him to go but he had a long drive back to KC and a family he needed to be home with – and who wants to ruin another pair of shoes in the water?! Casey ran with me until about 10am that morning. It was funny, both her and Brian hate getting their shoes wet and watching them try to tiptoe around a swamp avoiding the inevitable was hysterical! At least looking back now! Casey succeeded, but Brian wasn’t so lucky! As Casey and I came up to the next gravel road, there was Brian and a neon shirted fellow – it was Jose!! I smiled so big. In the same smile, I was so sad to see Casey go and also so happy to see my next pacer arrive. He parked his car about 20 miles away and ran to our exact location. He described the trail and what had happened out there in the early hours of the day. My eyes were wide in disbelief – coyotes, a 40 foot river crossing, beaver dams…time to get moving!! And with a guy that can occupy my brain for hours upon hours! Day 7 was pretty similar to day 3. I couldn’t get my legs to turnover. I could run a few steps but then the pain in my now cankles was like electric shocks in my feet and legs. It was a bit alarming, but I knew I just had to get though the day. It was really a relief that Jose didn’t care that we were basically on a hike. I had spoken with Rivs and he said to just have an easy short day. The plan was to get to Jose’s car – it would be 25-30 miles total for the day. Not at all what I wanted and mentally it killed me, but I knew in my heart that would be best for me. My 25-30 miles with Jose was interesting to say the least. We embarked on some pretty wild trail. Within the first mile I was drilling him about where this river crossing was. He deflected a few times, first telling me about his run in with a coyote. It was actually right about where we were on the trail in the first segment together – forested and soggy of course. The coyote kept following him, smelling his scent, and basically just scoping him out eventually getting bored and moving on…or maybe it was because Jose was challenging it to a brawl and making loud noises at it! I asked again about the river crossing and Jose said it wasn’t until for another 15 miles or so…it left my head in that moment. Typically I love river crossings, but when majority of the day is in water, it really was the last thing I wanted to do, and this one came with a current – my weak legs quivered at the thought. I started to focus on my feet and just listen to the conversation; it was relaxing. We came upon a muddy area and I saw some tracks, clearly bear. I pointed and with some excitement but mostly concern commented on how fresh they looked. Jose had the best response in the world…”naw, those aren’t bear tracks, those are deer, lots of deer.” If there is one thing I know the difference between when already in a state of delirium, it’s the difference between bear and deer tracks! I had a good laugh in my head with that one. Mentally the start of day 8 really kind of stunk. I had to do an out and back. Why?! It’s a point to point and this is the one spot there is a 3 mile out and back. Somewhat deflated, I asked Brian if he would start with me that morning. He typically waits until the afternoon to run and has been exhausted lately. Probably almost as much as I was by this point. It was really a lovely out and back though – one of the greenest areas I had seen. Brian read a sign at the beginning saying that the DNR is trapping and tagging bobcats in the area to watch activity. We didn’t see any active traps nor bobcats. Wisconsin has a plethora of wildlife which is so cool I must admit. It was still pretty wet on the ground and of course our shoes were needing a change by the end of the 3 miles. We finished the out and back and I started my run on the road. It was nice to be running again! The swelling in my ankles was still growing exponentially it seemed, but I could still get a shoe on which was great. I was basically going to be running on my own until around 10am when my cousin Louis and friend Dewie would be arriving for the day. They graciously took the day off from work to come run with me. I had just entered a 5 mile stretch when they arrived so we all had to meet at the next road crossing. It was so great to see them and I was mentally and physically feeling good. I’m not sure why it’s different one day to the next, but for today, I will take it. I sat down to eat some food when Louis gave me a present for my efforts…It was a netted fishing hat to keep the bugs away from my face. We all couldn’t stop laughing. They both have been tracking my journey and knew of all the flies I had consumed up that point! He also had a high potency bug spray that he left with us “just in case.” It all just made me smile, something I was forgetting to do more and more each day. Louis, Dewie, Brian, and I had a great day of running. We put in about 45-50 miles total for the day which was great given the amount of climbing we had to do. It was dryer ground but a lot of rolling hills. I felt like I was on top of the world, running what felt to be 6 min miles (actually I’d guess more like 12 to 13 min/mi but just to run I think mentally lifted me up!). The swelling was still there but I think I was just so focused on the dry ground, company, and new lunch item (beer…) recommended by my coach, the pain just faded into the abyss of my mind. It was nearly 4pm and I wanted to get in another few sections before ending for the day. Louis and Dewie had to get going by that point, but planned to come back in the next few days. They left me with one more beverage for dinner time and we all headed on our ways. I was now entering the highest concentrated wolf area in Wisconsin. I didn’t know that of course. I just kept seeing really big dog prints, and being a dog lover, I assumed they were just large dog prints and maybe I would see a hiker and his pup. Nothing of the sort like that ever happened along my entire journey. I realized they were wolf prints honestly only after being told there were wolves in the area by Brian. Made sense; he’s a smart guy to wait to tell me those things. I started to think where on these trails there would be a den. I picture bears and wolves living in a cave, not the flatland forest of Wisconsin. Do they hollow out tree trunks like in Bambi? Or dig a really deep hole that they cover with leaves? A bit of logic mixed with more and more crazy as each day passed. I was so happy to finish strong on day 8. I loved day 8. About 2 miles into the first section I hit a logging area which was not expected. There was a reroute that both Brian and I were not anticipating. I started to go on the reroute, but then second guessed myself; went back, then back to the reroute. Yes, much of the day on some parts of this journey would be wasted in trail searching, but that is the nature of the job. I stuck with my guns and stayed on the rerouted path over logging grounds and more fallen trees and branches than I have seen yet. The trail after that was overgrown; I just keep accumulating more cuts on my legs exacerbating the inflammation that I kept ignoring. I was in tears and texted Brian about how awful the trail was before getting to a road crossing area. He actually walked in to meet me there as it was not an actual crew area. I got a hug and calmed down a bit. I started to continue on and he started to head back to the car. Out of nowhere, I yelled his name…he had to come see this!! Fresh mom and cub tracks. Being the great guy he is, he hung with me for about a quarter mile until the tracks went off into the forest. I was back to being on my own and needed to get out of my head. I knew I would be close at some point of day 9 to the turn south so I used that as motivation. The trail started to get better…I was going 40-50 miles today on mostly logging roads and hunting land. Perfect. Some areas were wet but just dry enough I could go around and keep a run going. It felt good – painful, but good. I had a pretty good day actually. The first 5 and last 5 miles of the day was the hardest – just simply not runnable. I had company though for the last 5 miles of running and hiking. Brian and I were coming up to Kettlebowl…I had made the turn south and thought, “it’s all downhill from here.” Runnable terrain I have ran before. I was so excited. 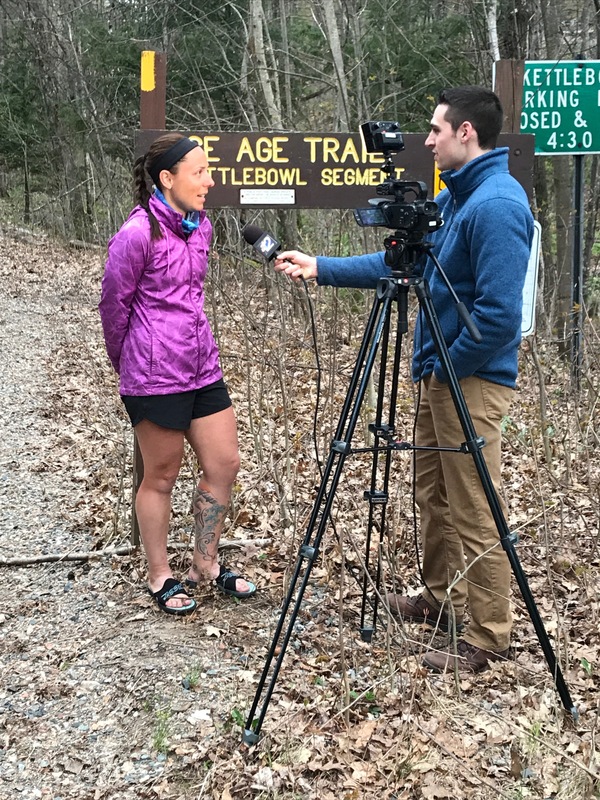 We had an interview to do that evening at the end of the day right at the start of Kettlebowl. It took some time and my legs started to stiffen. I expected it but today it was different. The pain in my lower legs, ankles, and feet was changing. It wasn’t just achy with bouts of pain anymore, it was becoming alarming. I figured the next day would be like any other…wake up, feel awful, start running, feel better. I soaked. We ate. I tried to sleep.